We are just putting the final pieces in place for Endemol's upcoming epic 'Gallipoli'. The team at Chroma have been hard at work creating hundreds of challenging shots for the sprawling saga that covers just about every trick in the book, from enhancing overall production design and locations to ballistics, stunts and much more. Gallipoli is a shocking and powerful exploration of the sacrifice and bloodshed endured by Australians and other allied forces presented in a harsh yet intimate style. 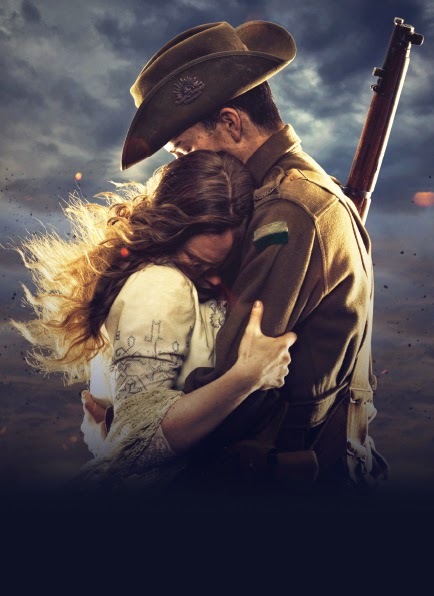 Gallipoli is coming to the Nine Network in 2015 and is not to be missed. Check out this article covering some of the VFX process. Worst Year of My Life, Again is a fun 13-part kids series about destiny and second chances. This slapstick comedy is coming to ABC3 in 2014 and is a great reason for some fun family viewing! 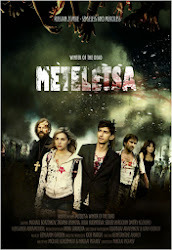 Chroma designed and produced the opening titles and branding for the series. We have just finished moving into our groovy new building at Bank Street, giving us more space to work and play, improved client facilities and a chance to upgrade our systems before 2014 kicks really in. After nearly 10 years at the old Sandilands office, we are delighted to be able to offer even more for our clients in a comfortable and central location, all just minutes from Melbourne's best post production facilities. Chroma continues to provide producers with the most innovative, flexible and economic digital effects solutions in the country, and our new facilities and growing team emphasise our continued commitment and passion for the Australian industry. The Australian Film, Television and Radio school's 'Friday on my mind' interview series returns in 2014 and Chroma have been invited to discuss the growing importance of digital effects in broadcast storytelling and our role in making it an affordable, everyday tool. And it's FREE, so come and check it out on March 21st at ACMI, Federation Square. INXS: Never Tear Us Apart hit Australian screens recently, pulling in an impressive audience and rave reviews from the press. Produced by Shine and Directed by Daina Reid, it's a bitter sweet and faithful retelling of the fame and tragedy surrounding the band. We produced over a hundred shots for the two-part telemovie, including CG vehicles, aircraft, extras duplication, TV burn-ins, exterior digimattes, archival repair, technical fixes and countless augments and removals throughout. We even recreated the Suicide Blonde music video in all its 'tape suite' glory. With our team on call throughout production, many departments had access to our time and resource saving techniques, resulting in quick solutions to traditional limitations in locations, extras, vehicles, production design and much more. Keep an eye out for INXS on retail shelves soon! December Productions 2013 hit, Dr.Blake Mysteries is coming back for a well deserved second season. Set in 1950's Victoria, Blake features a range of period locations and action sequences that require some complicated digital trickery, continuing on from our work on the first series. Over 350 shots were created for this season, mainly removal of modern elements from locations but also lots of extras duplication, stunt augmentation, digimattes, ants, bees and heaps more. For a breakdown of some of the work we have done on Series 2, check out the behind the scenes here. Keep an eye out for Dr.Blake coming to ABC soon! ABC's much loved Rake returns for a second series this year. We produced a few effects shots and removals for the show, including a sequence for the final episode. Check it out on ABC later this year.